Donuts!! Now the title says it all! Have you ever heard of such a donut made like this?! These are a must try and even a deception for those that are unaware of how these are made. I know a typical donut can be simple to buy and eat when you want something for breakfast that is sweet, but we can get carried away with food that is convenient instead of healthy. 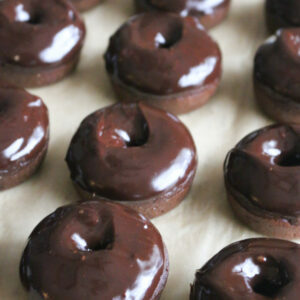 Luckily, these are both convenient and healthy, as they are the simplest donuts I’ve ever made. 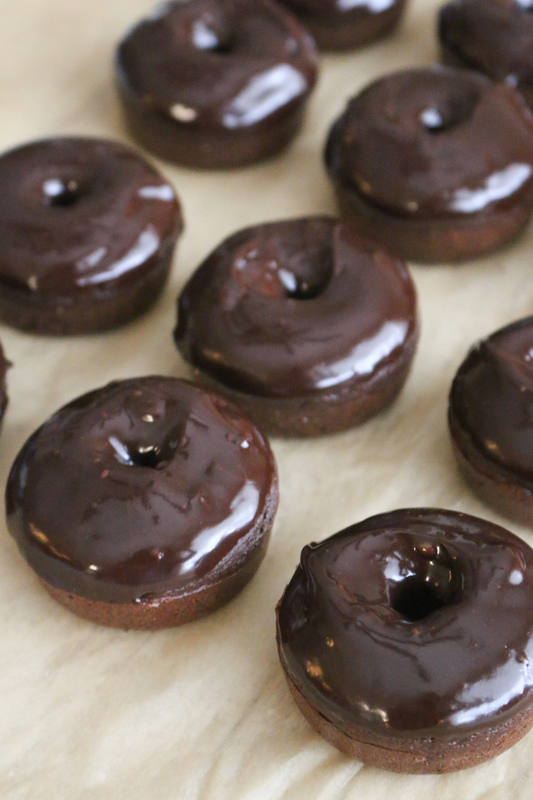 Did I mention that these vegan baked chocolate zucchini glazed donuts are also gluten-free and nut-free which makes it allergy-friendly. Plus they are super healthy, a feel-good kind of donut made with simply the best ingredients on earth. A grab-and-go food never tasted this good! This vegan baked chocolate donut recipe is made with fresh zucchini, gluten-free flour, homemade apple sauce and sweetened with coconut sugar. If you’re still wondering how zucchini’s ended up in this donut it’s for good reason, I promise! The chocolate glaze on these donuts are made with a similar chocolate sauce use in my Chocolate Dipped Strawberry Hearts recipe. 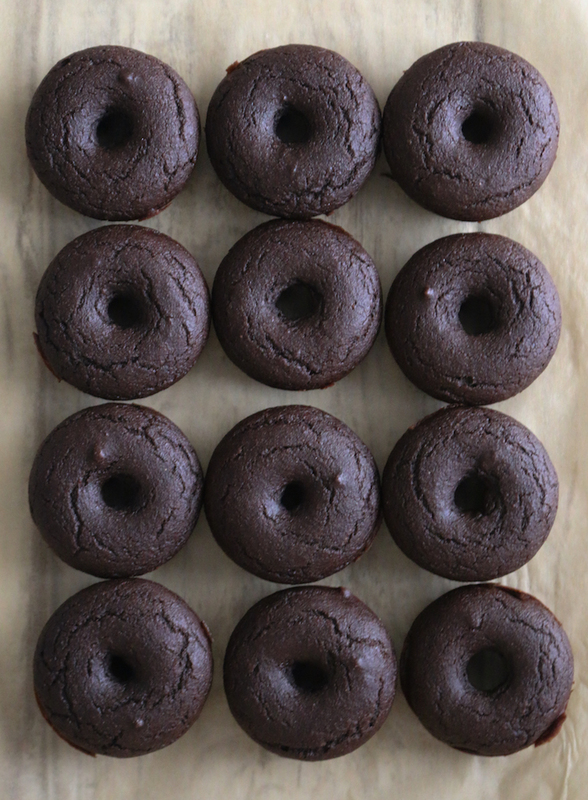 And top these vegan baked chocolate zucchini donuts with your favorite ingredients, here are some of mine! A simple and healthy gluten-free, dairy-free, and nut-free dessert. Topped with your favorite ingredients for an on the go breakfast/ dessert! Shred the zucchini and transfer to a nut milk bag or paper towel. Squeeze all the excess liquid than measure to one half cup packed full. Transfer to a large mixing bowl. Add the coconut sugar, olive oil, apple sauce, vanilla and coconut milk to the zucchini bowl and mix to combine. Then add the dry mix into the zucchini mix and fold to combine. 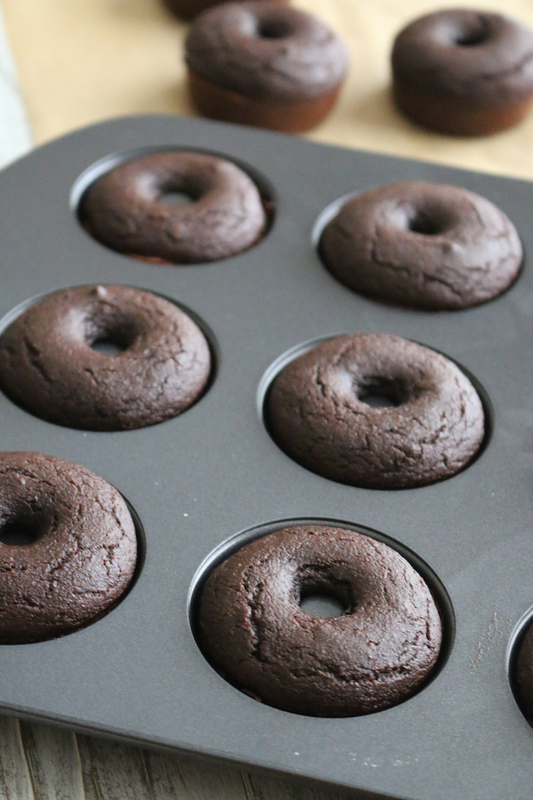 Spoon or pipe batter into donut pan and bake for 12-15 minutes until donuts spring back when pressed. Remove from oven and cool slightly before transferring onto a cooling rack to cool completely. To make the chocolate glaze, place coconut oil, maple syrup, cacao powder and vanilla extract in a small bowl and whisk together until smooth. 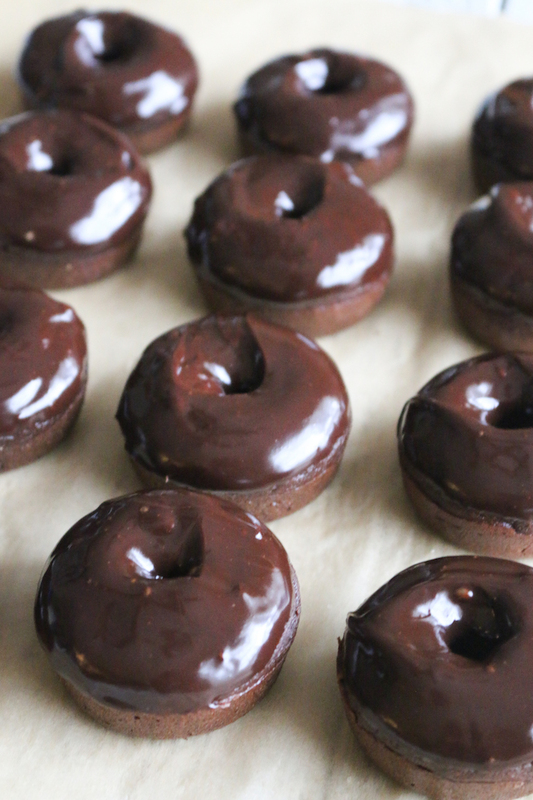 Dip the top of each donut into the chocolate glaze. Let then set slightly (about 5 minutes) before dipping donuts into your toppings. Let glaze set completely in the fridge before serving. Enjoy! 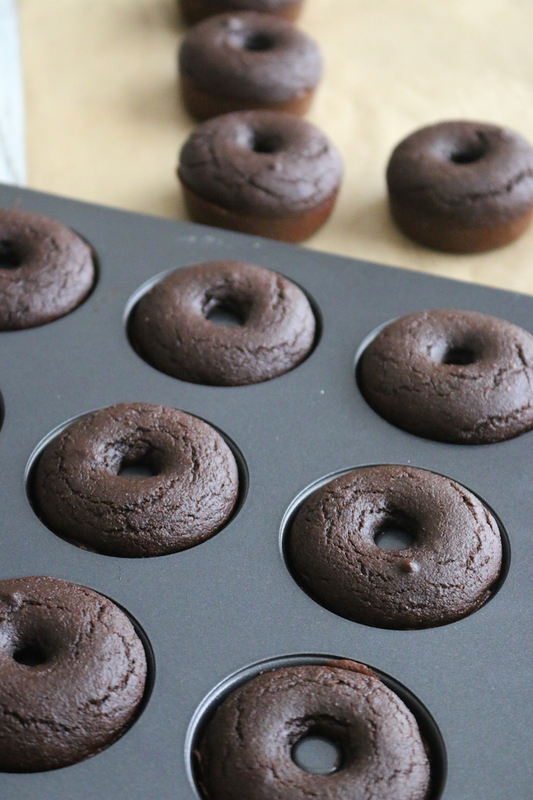 This recipe makes 12 mini size donuts or 6 regular size donuts. If you try this recipe, I wanna hear about it, so let’s chat! Leave a comment it, rate it (this really helps me improve future recipes), and don’t forget to tag a picture on Instagram with #livesimplynatural to show how you enjoyed this amazing recipe!